One of the biggest worries of adult students is how to work class time into an already busy schedule. Between work, family and other responsibilities, it’s an understandable concern. But it should never be a roadblock to success. That’s why at Providence College School of Continuing Education we offer a variety of class formats and terms so that you can pursue your education at your own pace and in a way that works for you. 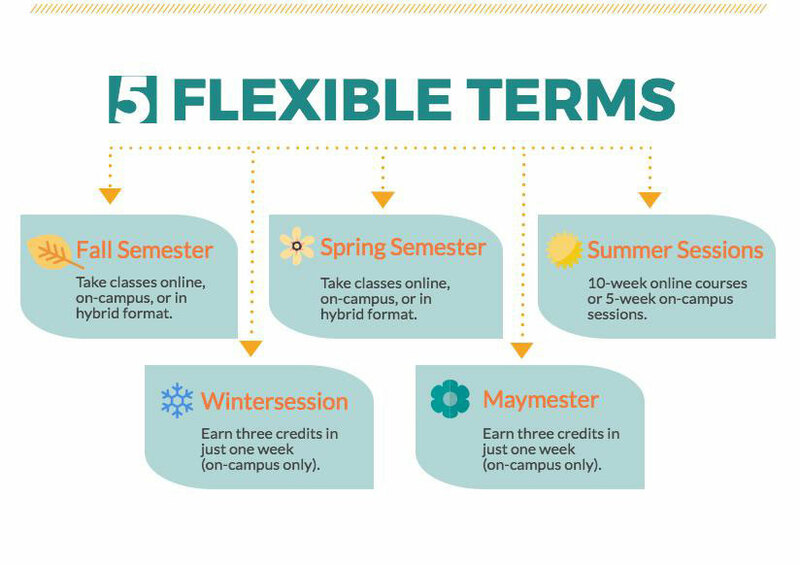 Here’s our “3+5 equation” for flexible class formats and terms at a glance.